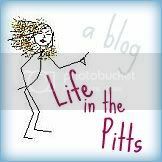 Life in the Pitts: Holy Exciting! You're so cute Helena. So not surprised that you are being featured. yay!! congrats on being featured:) i just checked out the mirror project and that is a smart idea...i would have never thought of that! !